Step inside and discover a magical Christmas world of creative and inspiring interiors, music, food and drink all under one beautifully domed roof. A limited-edition residency for one month only from 26th November 2019. This winter Bourne & Hollingsworth, London’s best loved purveyor of all things beautiful and entertaining, invites Londoners to discover The Winter House and lose themselves in an exclusive world of fine food, delectable drinks, incredible interiors and elegant festivity. 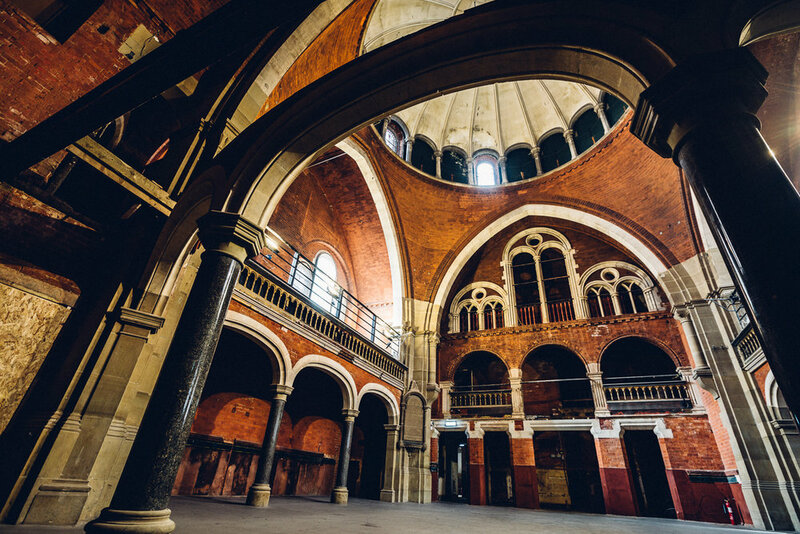 Set in a previously unseen, hauntingly beautiful Grade II listed chapel in the heart of the West End, this limited edition drinking and dining experience, brings together art, creative installations, light, music, food and drinks in one central London party venue. The ritual of a perfect evening requires certain elements: delicious drinks, good people, a beautiful room, exquisite food and the perfect soundtrack. The Winter House encapsulates all of the above. From an intimate lunch with friends, to a formal festive feast, from laid-back Friday night cocktails to a 500-strong canapé reception, we have everything you need to guarantee an unforgettable experience.